ENTREPRENEURSHIP: ARE THERE GENDER DIFFERENCES? Home / ENTREPRENEURSHIP: ARE THERE GENDER DIFFERENCES? While there are many commonalities between male and female entrepreneurs, there are distinct differences, researchers have found. Overarching themes include risk tolerance, goals for their businesses, decision-making and management styles, finances, networking ability, and motivations. Often, male and female entrepreneurs are similar psychologically and demographically. They are more likely to be married and the first-born child. In regards to education, female entrepreneurs more often pursue fields in the liberal arts and not engineering or other technical fields. Other basic differences are that women are influenced by non-financial issues more than men. Both tend to have experience before starting a business and have mentors and role models that encouraged them to become entrepreneurs. Female entrepreneurs tend to make slower decisions, want to offer a high social contribution, and focus on ensuring quality. Pleasing their customers is very important not just because of the monetary gains, but the social stratosphere. They appreciate a more democratic relationship with their employees and highly value these relationships. Male entrepreneurs tend to focus on keeping costs under control and gaining profit. They value quality more in the sense that it will keep customers rather than the importance of building a strong relationship strictly because of the social atmosphere. They focus on cost-efficiency in order to make a higher profit. Female entrepreneurs manage democratically. They care about their employees’ working environment and feel the hierarchy should involve a lot of input from the employees. They know that their employees have a lot of excellent suggestions that can be put to use and with higher satisfaction their employees will output more. Male entrepreneurs are focused on the numbers. They are task-oriented and value productivity, hard work, and a high degree of competence as they look for experts in their respective fields. Both male and female entrepreneurs are looking for autonomy and control in their lives. They have the drive to start their own businesses and the confidence to nurture it. Females, more than males, have business goals that are specifically focused on improving their personal satisfaction and sense of accomplishment. 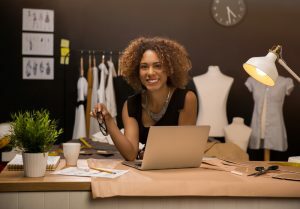 Female entrepreneurs often begin businesses in the retail industry or service-related fields, while males start businesses in the manufacturing, technology, and construction fields. Female entrepreneurs often have smaller businesses that are family-oriented, while men tend to expand to larger regions. 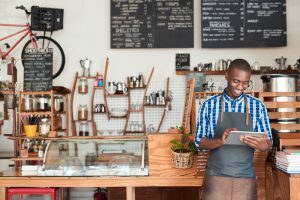 Male entrepreneurs are comfortable with higher risk, and less worried about hazards, while female entrepreneurs are more cautious and so tend to run smaller businesses. Males also are quicker to take a risk and fail whereas females like to plan a lot longer to, hopefully, ensure success. The atmosphere for financing a business is very different between male and female entrepreneurs. Females often have a lower startup capital and fewer resources. In addition, banks are less likely to loan to female entrepreneurs because they may have less industrial experience, and the bank lenders believe females are less entrepreneurial than males. Perhaps, owing to this discrepancy, female entrepreneurs employ more innovative strategies to gather resources. Males, on the other hand, often begin with a higher startup capital and are able to rally the bank’s support for their endeavor, more often than female entrepreneurs. According to a Canadian study, female entrepreneurs began on a different level than males. They often had lower experience and training, capital, receptiveness, and, possibly more than the other reasons, a lower self-image. This insecurity was cited as a major obstacle to females’ entrepreneurial spirit. In addition, a study in Asia showed that of the females who received assistance from the bank, 43% experienced no discrimination. Being an entrepreneur is harder for women, but their mindsets may support their success. Schiller and Crewson stated that female entrepreneurs have more positive business traits than males. They epitomized a strong initiative, the ability to critically think, good common sense, aggressiveness towards their goals, maintained a strong resolve and made good decisions. Differences in gender are pretty clear. Male entrepreneurs tend to start businesses with an externally focused mindset. They often see an opportunity and seize it. Female entrepreneurs often have a more intrinsic or familial motivation behind starting a business. They may be looking to achieve their own dreams rather than working each day to assist someone else’s, and often need more support from their friends or family to launch the business. Often, their social circle is their greatest ally. To build a successful business, a network must be built. A network is possibly even more critical than financial resources, according to Buttner. Male entrepreneurs usually have larger networks that are stronger and have more depth and strength. They can also be part of the “old boy’s network” which may exclude females. Female entrepreneurs often have smaller, more intimate, networks that are not as dense. They may not join clubs or business associations to grow their networks. Often, their family, society, business relationships, and staff may be the main contributors to their network. As females are newer to entrepreneurship in most cases, building a large network is crucial to expanding their business, though it is important for all entrepreneurs. There are many differences between the genders and opportunities available, but personality traits remain similar and stable between the two. Both male and female entrepreneurs have a higher energy than the average person, are willing to take risks, are self-sufficient, and have excellent self-control. They believe they control their destiny and will work hard to make sure their future looks as they envision it. The biggest fact of entrepreneurs, no matter their gender, is that they are visionaries. They see the world not as it is, but what It can be. Entrepreneurs break the world and their society into its component parts and build it up into something that is more useful.